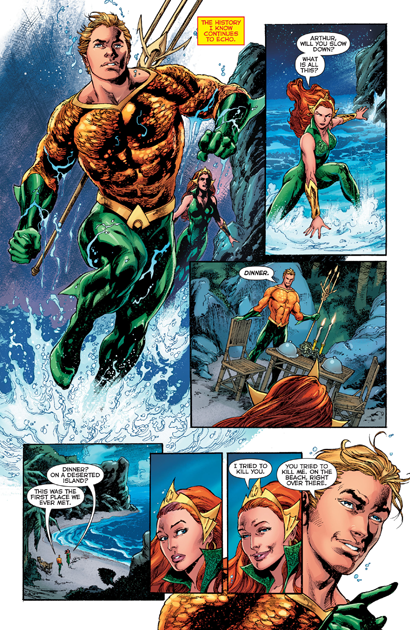 Great Neptune, it's great seeing our heroes drawn by Ivan Reis and Joe Prado, again, if only for two (and a bit) pages. 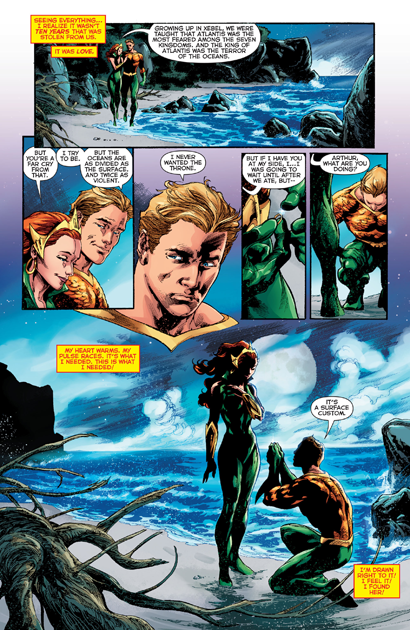 And we get to see a moment that DC told us was not in the history of the New 52 versions: Arthur and Mera getting married! The end of the book features a series of one-page ads for new titles, and Aquaman #1 is there--as he should be! The only thing Im not a fan of, is I actually miss the collar on his costume, I thought it looked really cool. But DC hitting the reset and making things better, Im all for that. Well, I'm torn about this. I'm glad to see these two getting married, especially after the stupidity of DC's attitude towards marriage. Yet, at the same time, this reminds me that they haven't been married all this time, and that vexes me. DC's continued contempt for the values I hold is infuriating. Perhaps this is a step in the right direction, though, at least in the Aquaman book, which is the only thing I still care about. I didn't never understand the DC's attitude towards marriage during the New 52 era. Due to this, Batwoman couldn't to be married with her couple. 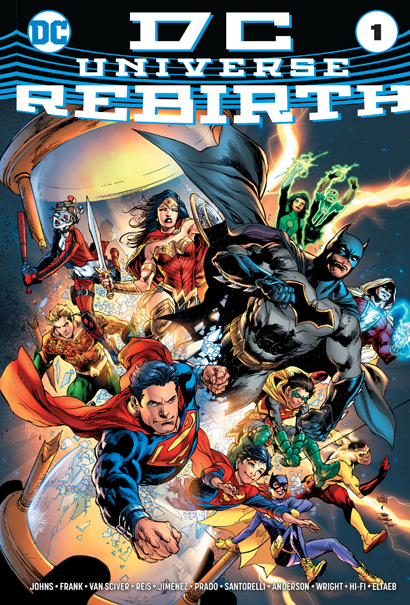 I'm glad to see things are changing with Rebirth.